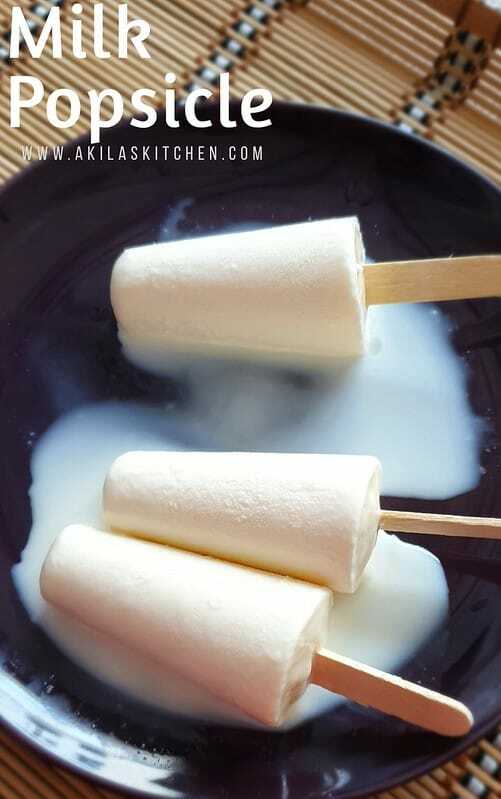 Paal ice | Milk Popsicle is a very easy and tasty popsicle recipe which is made using only milk and cream is added to give some extra richness to the recipe. 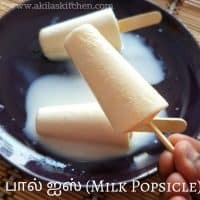 Paal ice | milk popsicle recipe with easy step by step instructions and a video for your easy understanding and learning. This Paal Ice | Milk Popsicle recipe is made just using the milk and it reminds our good old childhood days, where we use to buy our paal ice, cup ice, orange ice and other kuchi ice. Those were the golden days and we used to eat those ice popsicles without any issue or healthy problems. But this generation kids when they eat outside, gets cold, cough or fever immediately. So it is better to give them homemade ice popsicles which are healthy too. 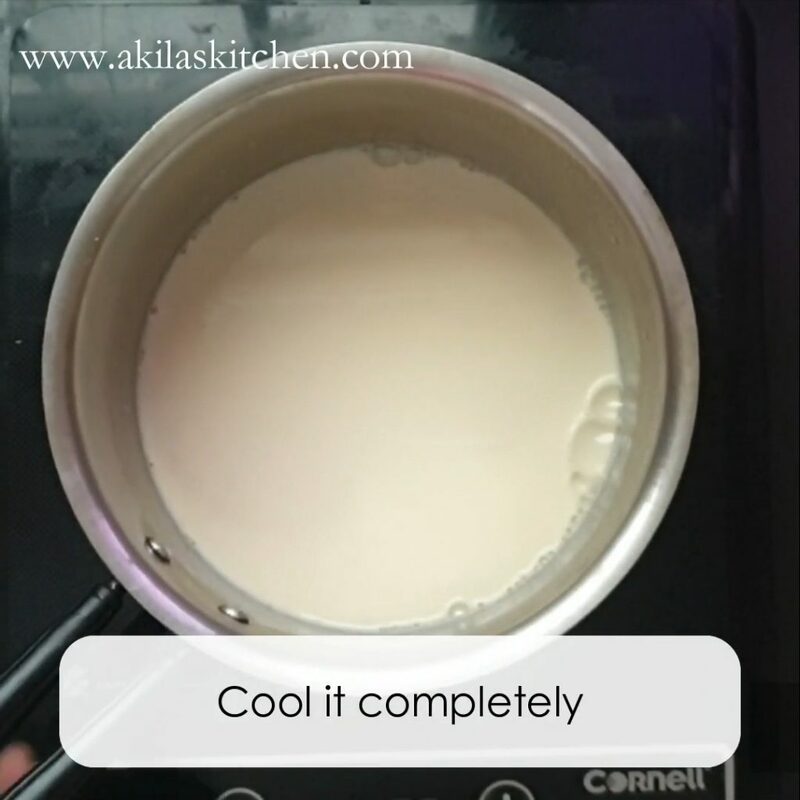 This milk popsicle can be made in different ways like using corn flour, milk powder etc. But here I have used the milk and the cream to give extra richness to the milk popsicle. 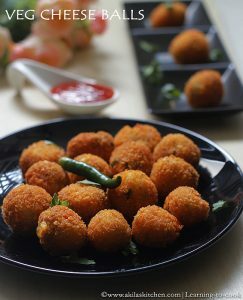 If you love my recipes, then do subscribe to my Youtube channel for latest videos. 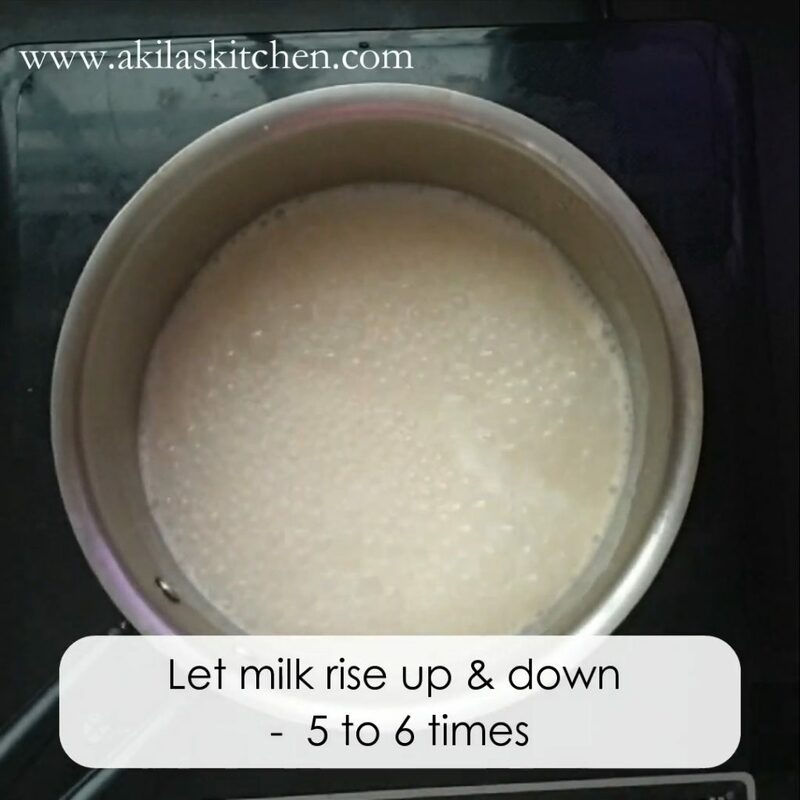 For Recipes in English – Akilas Kitchen and for recipes in Tamil – Just Samayal . 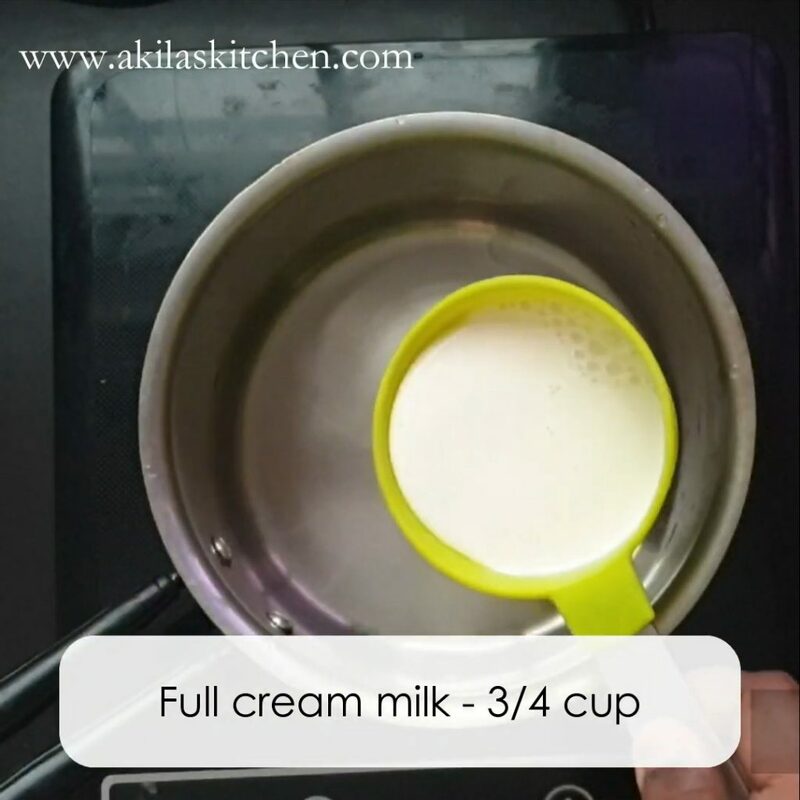 Take 3/4 full cream milk. Full cream gives nice thickness. To this add 1/4 cup of cooking cream or fresh cream. Add required sugar. I have used 2 tsp of sugar. You can also use brown sugar or palm sugar. 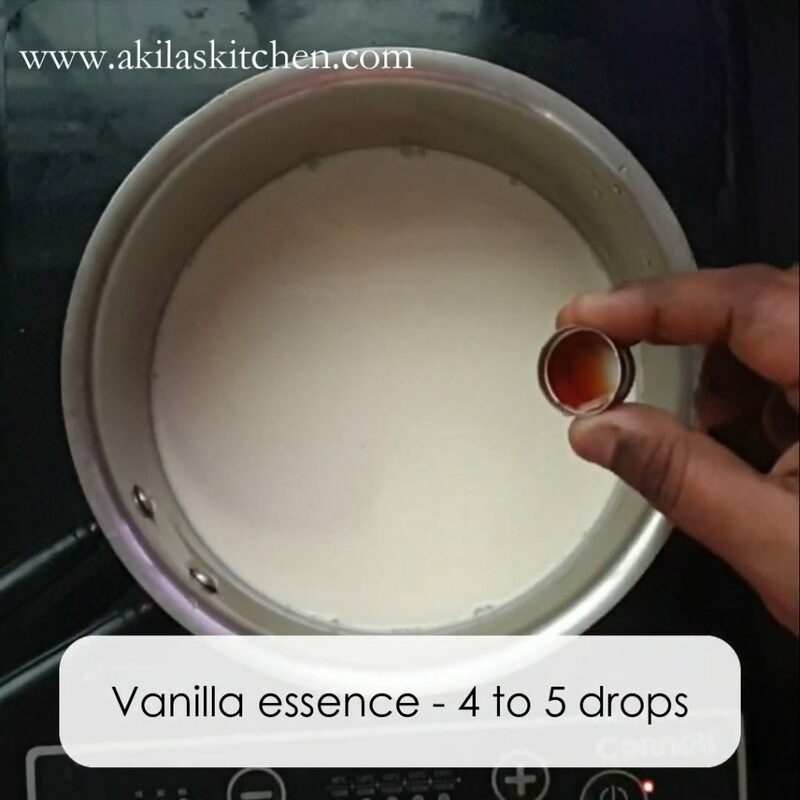 To this add few drops of vanilla essence. This is optional but it gives nice smell. You can also add a pinch of cardamom powder. Allow milk to boil. Let it rise up and down for about 6 to 8 times. Switch off the flame and cool down completely. 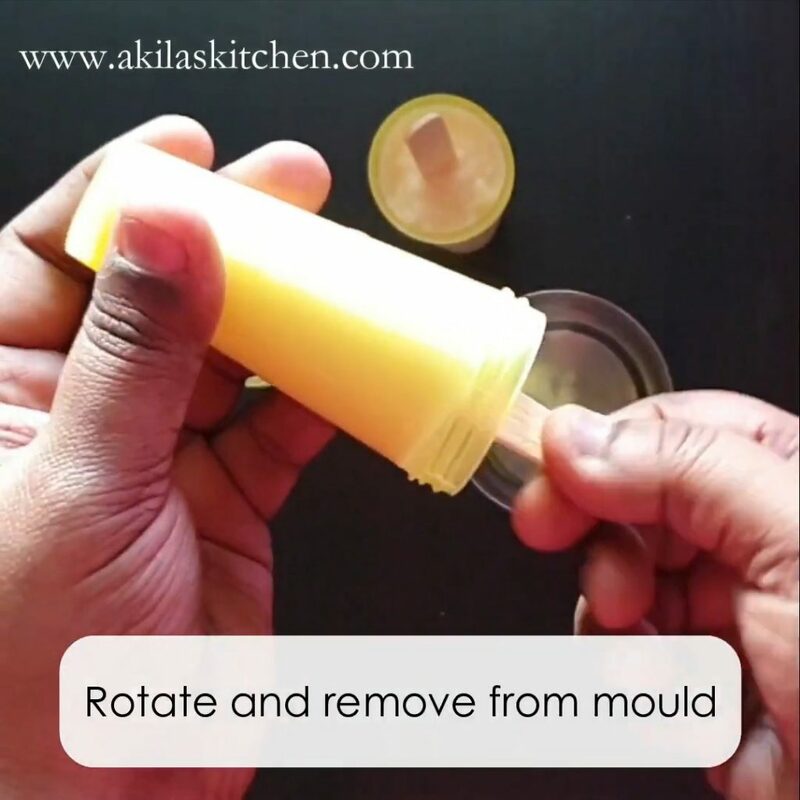 Pour the milk to the popsicle moulds or kulfi moulds. 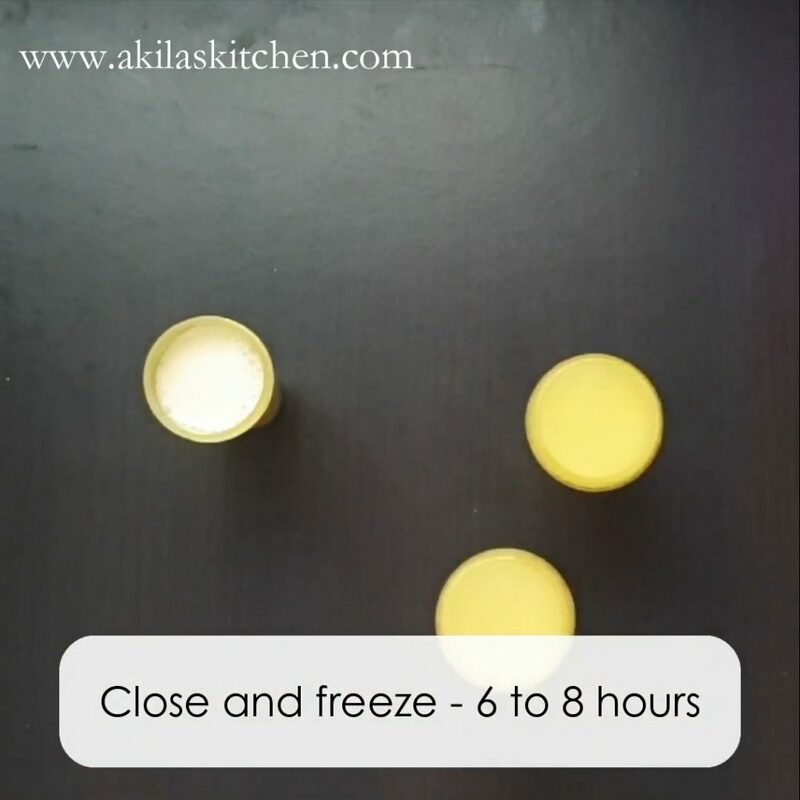 Close the lid and freeze for 8 hours or overnight. You can insert the sticks after freezing for 2 hours, so that sticks can stand firmly in middle. After 8 hours, remove from freezer. 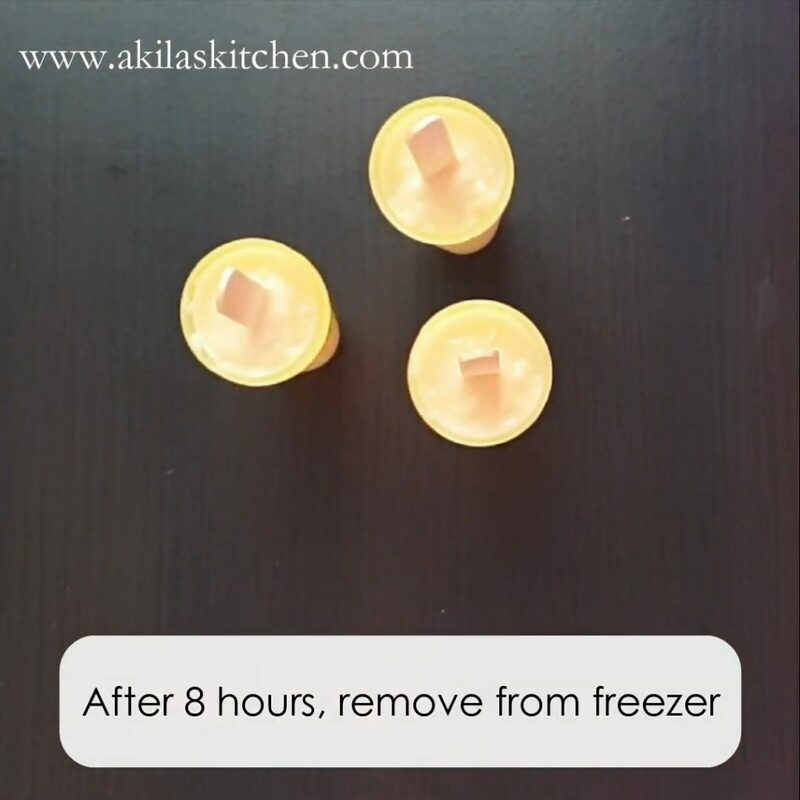 Show the moulds outer sides under the running tap water or take lukewarm water in a tumbler and dip these moulds in to them for about 2 to 3 seconds. The water should be warm and should never be hot. Slightly rotate them and take out the paal ice | milk popsicle outside. To this add 1/4 cup of cooling cream or fresh cream. 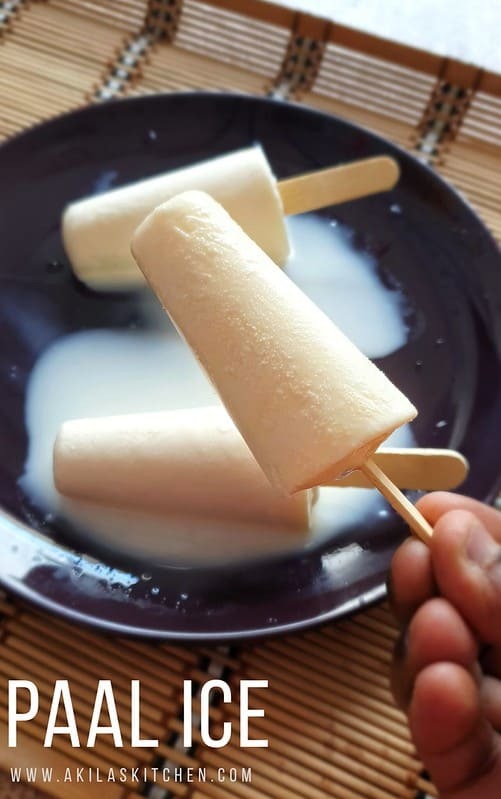 Yummy and tasty paal ice | milk popsicle is ready. Never use hot water to remove the ice from the moulds. Always use warm or lukewarm water. 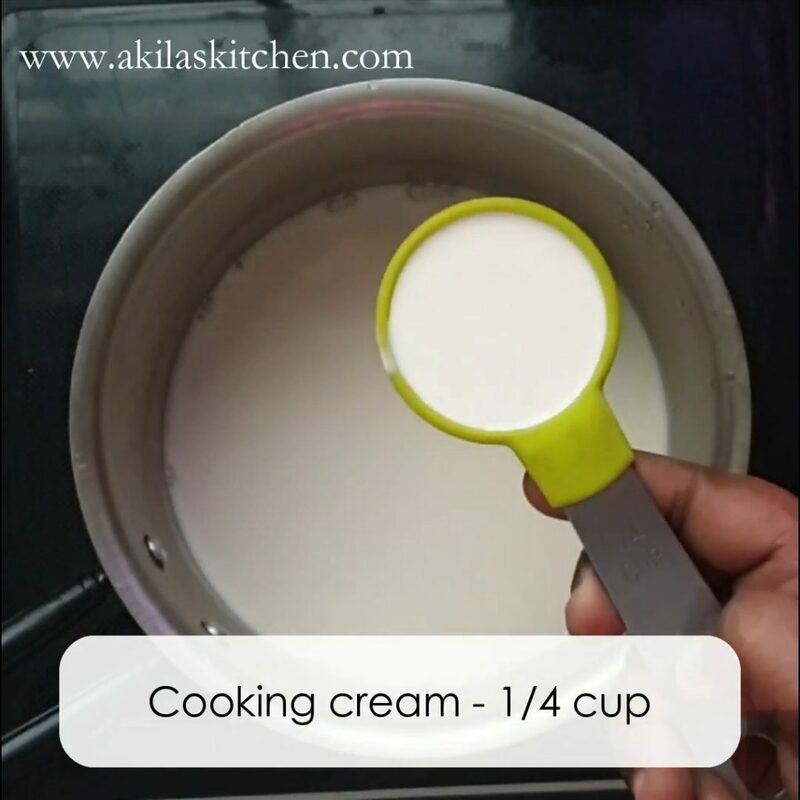 Adding cooking cream or fresh cream to the dish makes it more tastier.